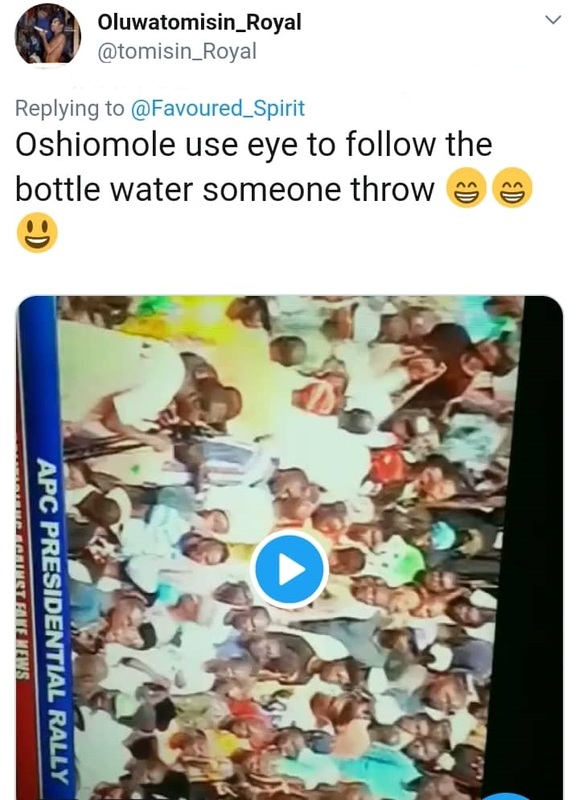 A video showing the moment Adams Oshiomhole used his eyes to follow the direction of the bottle water someone threw at him at Ogun APC campaign Rally has emerged. Recall that APC campaign rally in Ogun state yesterday ended in disaster as it was disrupted with booing and stoning of President Buhari, Adams Oshiomhole, Osinbajo and other APC leaders. 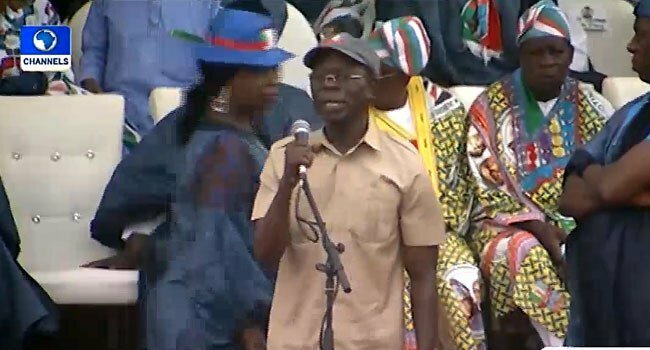 Watch the way Oshiomhole followed the direction of the bottle water thrown at the rally.